Getting a mortgage from Town & Country Credit Union means you'll receive a Free Pre-Qualification, our Low Rate Guarantee and local decision making. Our experienced lenders can help you get a mortgage in the form of a Conventional Loan, FHA Loan, VA Home Loan or USDA Loan. They are also experienced at working with First Time Home Buyer programs. Do you have more questions than answers when it comes to buying your first home? Don't stress. We've got you covered. Our experienced mortgage team can help qualified borrowers access down payment and closing cost assistance through the First Time Homebuyer Program. This program can be combined with a Conventional Loan, FHA Loan, VA Loan or USDA/Rural Housing loans. Town & Country Credit Union offers both the ND First Time Home Buyer Program and the MN First Time Home Buyer Program, allowing us to help you finance your first home in either state. Ready to get moving with your new home? Reach out to one of our helpful mortgage lenders with any questions you may have or apply online now and get your pre-qualification started. We can help you determine how much you qualify for, how much of a down payment you need to save, what you can do to improve your credit if needed, and more. It's time to stop feeling overwhelmed. 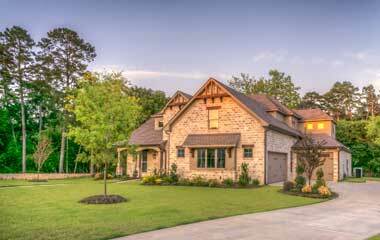 Our mortgage lenders can help make home happen for you. Rates and loan approval are dependent on credit and underwriting factors and may be subject to additional eligibility criteria. Rates, terms and conditions are subject to change without notice. Contact us for more details. We are proud to offer the best rates to America's Heroes. 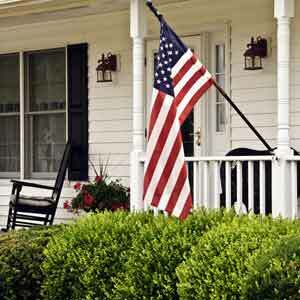 VA Loans are for Qualified Military or Veteran Persons. Ready to purchase your dream home, but haven't sold your current house just yet? A bridge loan can help! The short-term, temporary loan provides financing to help cover costs while selling one house and buying another. The loan is secured to your current home and provides the funds to finance the new home with the expectation that the loan will be repaid with the proceeds of the sale of your existing home. To learn more how a bridge loan can help you, contact one of our Mortgage Loan officers. Auto, Motorcycle, Snowmobile, RV, ATV, etc. If Refinancing, what is your Current Rate? The information in this application is true and may be relied on in evaluating this loan request. By my submitting this online form, you are authorized to check my credit and employment plus answer any questions regarding my credit experience with you. I understand that it is a federal crime to willfully and deliberately provide incomplete or incorrect information on loan applications made to federally insured Credit Unions.